For those who like the feel and tone of a hollow body, but need more volume and sustain than a hollow box allows, the AS153 is just your ticket. As part of the Artstar Series, the AS153 is a high quality instrument for the working pro playing jazz, blues, rock, country, or any hybrid genre you can imagine. 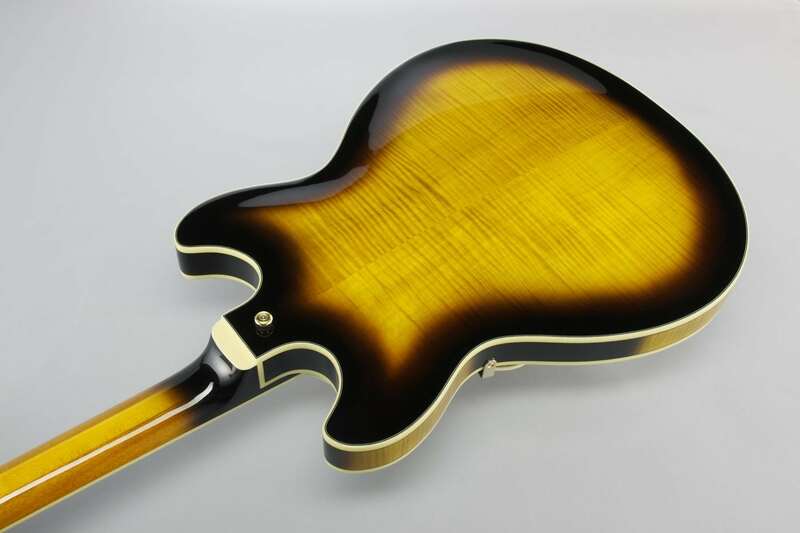 The Flamed Maple body is done in a rich Antique Yellow Sunburst finish. The 3-piece Mahogany/ Maple set-in neck has a bound Ebony fingerboard with Acrylic/ Abalone block inlay, Medium frets and the Artstar Fret Edge Treatment, for a fast, smooth feel. For extended tone options the AS153 comes with two Super 58 pickups and a Tri-Sound switch for the neck pickup that allows you to select Humbucker in series (traditional), parallel (brighter, single coil type tone w/ lower output and hum cancellation) or coil-tapping for a single coil sound. Sure Grip III knobs provide non-slip functionality and an ART-1 bridge provides improved sustain and tuning stability. 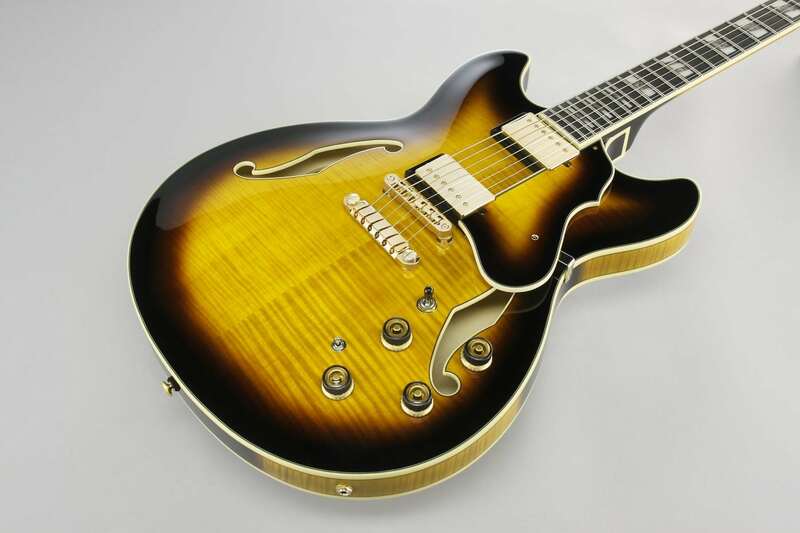 Features gold hardware and includes a hardshell case.